2) We support the mission, principles and standards advanced by our parent organization, The American Driver and Traffic Safety Education Association (ADTSEA). 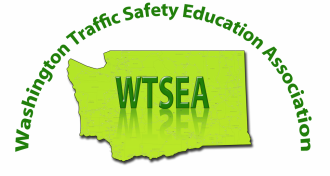 3) We support the recommendations for enhancing Washington’s traffic safety education program made by the NHTSA’s Washington Driver Education Assessment Final Report, which are based on the Novice Teen Driver - Education and Training Administrative Standards (NTDETAS). 4) We support the goals of Target Zero, Washington State’s Strategic Highway Plan, administered by the Washington Traffic Safety Commission (WTSC), and endorse any reasonable measures that advance us toward achieving the goals of that plan.